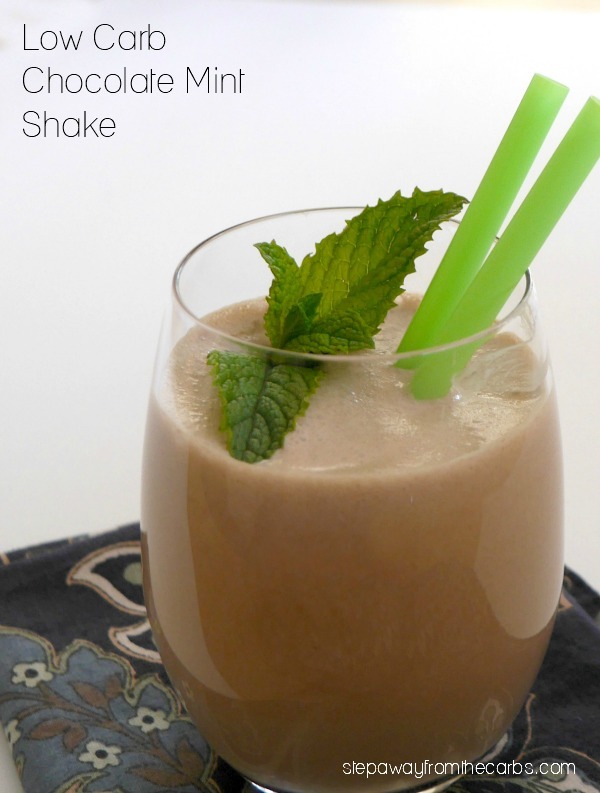 This chocolate mint shake is thick, creamy, and delicious! 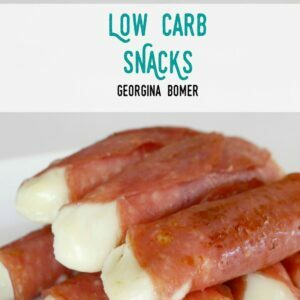 Low carb, LCHF, keto, and sugar free recipe. 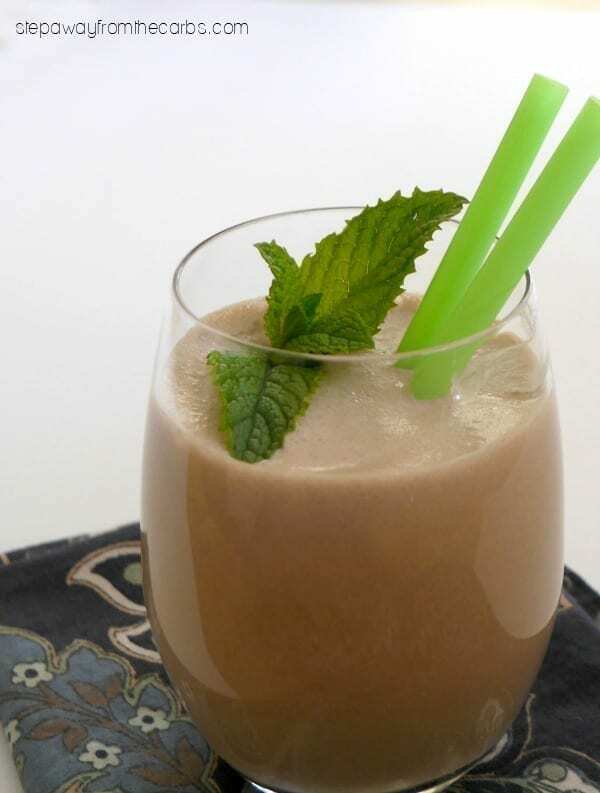 Chocolate and mint is DEFINITELY one of my favorite flavor combinations – I just can’t get enough of it! I’ve use these two flavors in cheesecake brownies, a cocktail, and ice cream! So this shake is perfect for me when I need a mint choc hit! 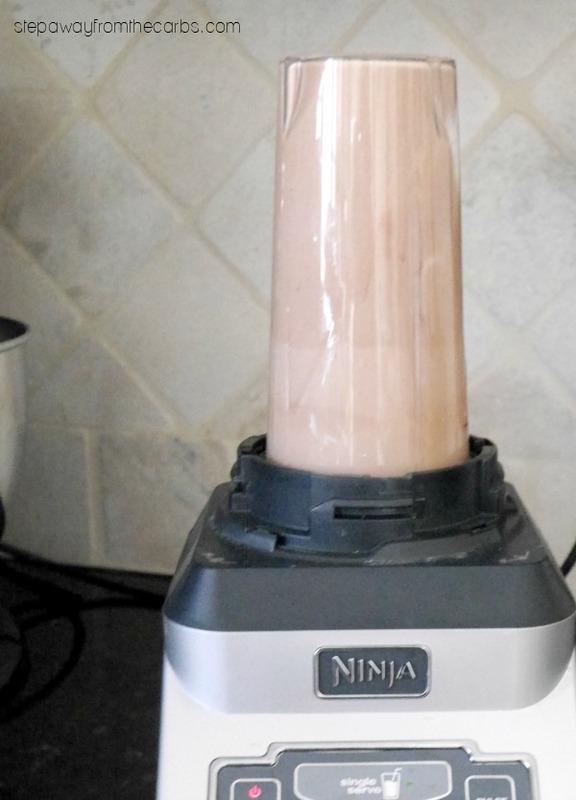 To make it I use my Ninja blender – I particularly love that it has a single serve option. 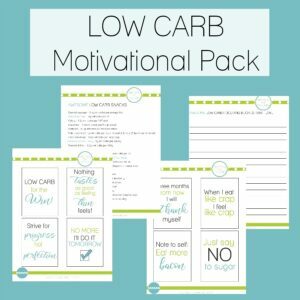 It’s so easy and it makes cleaning up a lot quicker! 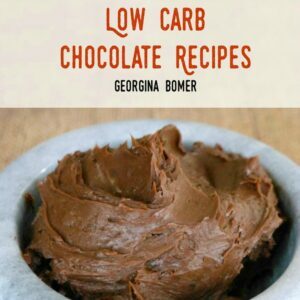 To make this low carb shake, add heavy cream, unsweetened almond milk, cream cheese, unsweetened cocoa powder and peppermint sugar free sweetening syrup*. And yes, I know that’s a lot of milk/cream/cheese type ingredients but I think they each add something to this shake to make it work! *If you don’t have the peppermint flavor you can use the standard flavorless one, and add in a tiny amount of peppermint extract instead. 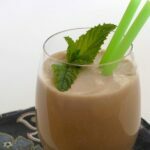 Blend everything together and then serve this chocolate mint shake with a garnish of a sprig of fresh mint! 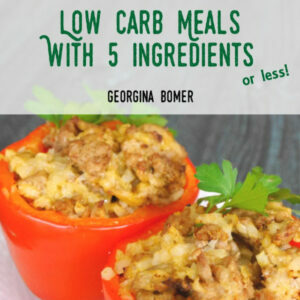 Blend everything together and then serve, garnish with a sprig of fresh mint.